Guarana seed is obtained from the red fruits of a tropical vine found in Brazil that is commonly referred to as Brazilian cocoa. The powdered seed, which contains high levels of caffeine, is encapsulated or added to baked goods and hot beverages, including brewed coffee. The high caffeine content of guarana seed may make this product unsuitable for certain individuals. storage tips Keep in an airtight container away from light, heat and humidity. appearance & aroma Fine powder with an aroma somewhat similar to cocoa or coffee. cosmetic Use moistened as a facial mask, alone or in combination with cosmetic clay or powdered herbs. culinary Add to brewed coffee, puddings and baked goods. Guarana seed powder may also be encapsulated as a dietary supplement. safety Avoid during pregnancy or if there is a sensitivity to caffeine or other central nervous system stimulants. 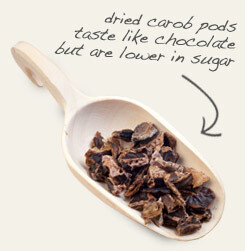 Combine with carob nibs to enhance chocolate flavor without adding caffeine or sugar. 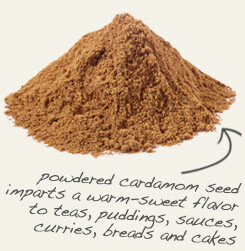 Pair with powdered cardamom seed in hot beverages and in baked goods. Bitter yet slightly sweet. Blends well with warm, baking spices. Guarana is a spreading, vine-like that is native to the Brazilian Amazon region, most notably Parintins and Manaus. The red, berry-like fruit of the plant houses a black seed that is roasted and brewed into a beverage in the same manner as cocoa or coffee beans. 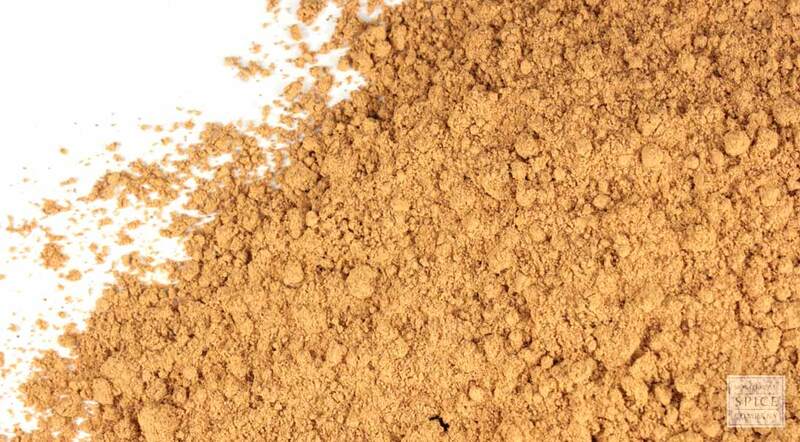 The powdered seed is stirred into hot beverages and smoothies, or is made into a paste known as Brazilian chocolate and used to enhance the sweetness and flavor of fresh fruit.